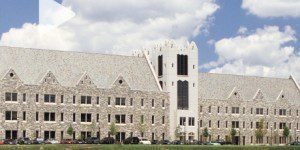 The Saint Joseph’s University’s 20-Month Executive MBA (EMBA) program at the Haub School of Business requires students to take a total of 48 credits. Beginning with orientation in September, students take five consecutive semesters. Classes meet three days a month (one Friday and two Saturdays) from 8 a.m.-5 p.m. Student breaks are scheduled during holidays and summer. After completing the first two semesters, students merge with the 1-Year Executive MBA class. The Saint Joseph’s 20-month Executive MBA program is designed for those who did not study business or finance as undergraduates. Students take eight credits in the first semester and ten credits in the following four semesters. Business foundation courses in the first two semesters prepare students for the upper level curriculum beginning in the third semester. The Saint Joseph’s 20-Month Executive MBA program does not offer career services because most students are being supported by their current employer. However, students are welcome to use the resources of the St. Joseph’s Career Development Center to meet their professional needs. Students also receive one-on-one executive and team coaching and leadership development throughout the program. Tuition for the Saint Joseph’s 20-Month Executive MBA program in 2018-2019 costs $1,640 per credit. Over the 48 required credits, this comes to a total of $78,720. The Saint Joseph’s 20-Month Executive MBA requires a minimum of five years of professional experience, a minimum GPA of 2.5 and an undergraduate business degree.